Nice, clean two bedroom plus loft condo with plenty of space for larger parties. 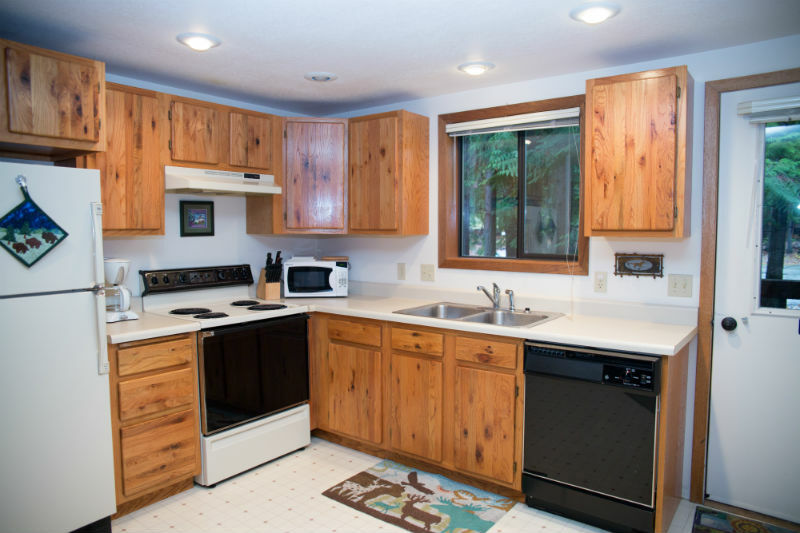 Main floor features fully equipped kitchen, full bathroom and living room with a fireplace. Private deck with BBQ and flat screen TV. Lower level: BDRM #1 Queen BDRM #2 Double & twin-over-twin bunk beds. 2nd bathroom. Spiral stairs lead to the loft that has a double bed. Located near indoor pool, playground and tennis courts. Sleeps 6-8.